Well of-course! There’s no point to start planning a trip when you are not even sure whether your girlfriend/wife can even get a Visa to enter Australia. Luckily for you, we have already created a list of all the requirements needed to obtain an Australian Visa for your Thai girlfriend which will help you get all the paperwork ready. If anything, we’ll help you throughout the process so the Visa is not something you have to worry too much, we are Key Visa after all! Now we’re begging the real deal, let find out how top choose the best company to take of all your precious possessions and ensure they travel safely to Australia. Of course our first advice would be to do a multiple set of Google searches and find a number of companies, this will allow you to get different quotes and a clear estimate of your costs. I sadly don’t have much of a personal experience to draw from, I have only moved once internationally and we used Asian Tigers, who must not have been too cheap (My company picked up the bill luckily) because their service was truly amazing. They brought their own experts to help pack everything at home, when doing so, they were extremely careful making sure everything is treated kindly and wrapped in protective plastics properly. Once they finished packing everything (and we had a lot of stuff!) they took it up the truck as fast as they packaged it. Honestly, I would absolutely recommend this company for anyone looking to move out of Thailand. You might not be aware of it, but because of Australia’s closed ecosystem (being an island isolated from the rest of the world) introducing foreign species of animals and plants can be catastrophic to the local wildlife. Therefore, the Australian government has a pretty strict customs system to ensure this doesn’t happen, it would be too much to go through the items in this article, but you can always check out the complete restricted items list from their official customs website. Make sure you pay close attention to all the relevant restrictions, you certainly don’t want your belongings to get reposed at the airport of stuck at customs, keep in mind there are also penalties (they will charge you money) if you fail to declare your belonging accordingly. Here’s another really good check list of prohibited items you should read to ensure you are not bringing anything inappropriate into the Australian territory. Generally, people that are moving for long periods of time into the Australian continent will already have their living situation solved, that said, it help to have a few options when it comes to finding the perfect house you can call a home. Do not forget the Australian housing market is rather competitive, so ensure you do your research properly in order to gain some understatement of what’s available and what prices are fair. Generally houses and apartments go fast so you might have to wait until you are in the country before finalizing a deal, it’s always a great idea to take advantage of ‘open inspections’ of homes, which is a standard service all real estate agents will be more than happy to provide you with. Also, keep in-mind that when renting property I Australia, it is common practice to pay an advance rent of 4-6 weeks as a security bond as well as 4 weeks rent in advance before being able to move into your new property. It is very unlikely you will have any issues opening a bank account in Australia, generally, once you have provided proof of your identification, you should be on the way to get your brand new bank account. Some banks will even allow you to begging the process before you arrive in the country, WstPac for instance, has an entire section on their website dedicated to people who are planning to move to Australia. As we said before, the main requirement before signing the agreement with the bank is identity proof. This transaction involves the 100 point system, were you present certain documents until you reach 100 point. You can check the full list of documents you can present to obtain you bank account so that you get them ready before going to the bank branch. The banking industry in Australia is pretty much made up of these 4 major banks, you can contact them directly and attempt to open an account online, though as a Thai moving to Thailand it might be slightly more difficult to do this procedure (though not impossible depending on your type of Visa) . The good news is that once you have entered the country, you should have no issues opening a bank account under your name in 3-8 weeks. Now, for many Thais moving to Australia (specially when not married), getting access to the government health insurance will be slightly complicated and/or impossible (again, depends on the type of Visa, length of stay, marital status, etc) so the private are the best way to go. There are a series of providers that you should contact before leaving Thailand, this way you’ll get a price range for all of them, and most importantly, you will know before hand which paper work you have to present, whether you can apply from Thailand before hand or must wait until arrival in Australia. Though many Thais travel to Australia with a non-working Visa, there are still many who go there with the intention of eventually finding a job. The internet has done wonderful things when it comes to job boards and online resources for those looking for employment, add this to the fact Australia posses one of the healthiest economies in the world and your professional future is certainly looking bright! The only 2 types of Visa that allow forefingers to work in Australia are the The 457 visa which will allow the holder to work up-to 4 years as long as there is an approved business acting as the sponsor, and the 189 visa which is for skilled workers that are not supported by a sponsor. If you have more questions regarding these types of Visa, or would like to find out whether you are eligible to apply for them, don’t forget you can always contact Key Visa for our expert advice. One last thing on employment, remember that as a working resident of Australia, you must pay the Australian government taxes . Before you can do this, you must obtain your Tax File Number (TFN) from the authorities (do spend some time on that website, it is filled with important and relevant information about tax rates and official procedures), once you have completed this process you will be able to legally work in Australia. Congratulations! Australia offers some of the highest standard of living in the whole planet, tempered climates, strong economy, beautiful natural landscapes and a rich and unique culture, there certainly are hundreds of reason to move to this nation. 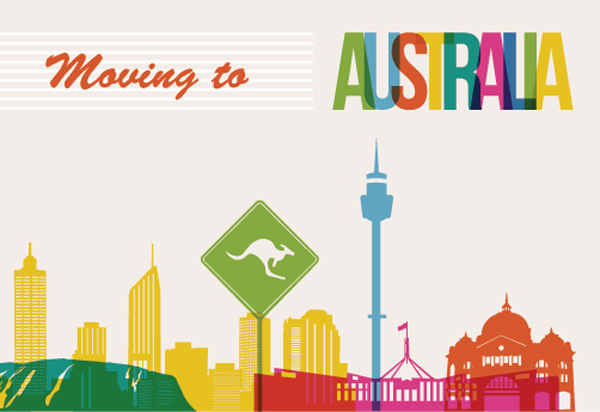 We are processing an ever increasing amount of Australian Visas, so we are certainly aware of the increasing number of couples and families that are moving back there for good. We hope this guide will help you and your loved ones plan your big move better! Let us know if we have missed something in the comments below, what was your experience like when moving to Australia?